I have never heard of creating "intentions" before until BFF sent me an IG post around Thanksgiving. I like it. It sounds more purposeful than "goals" or "wishes". 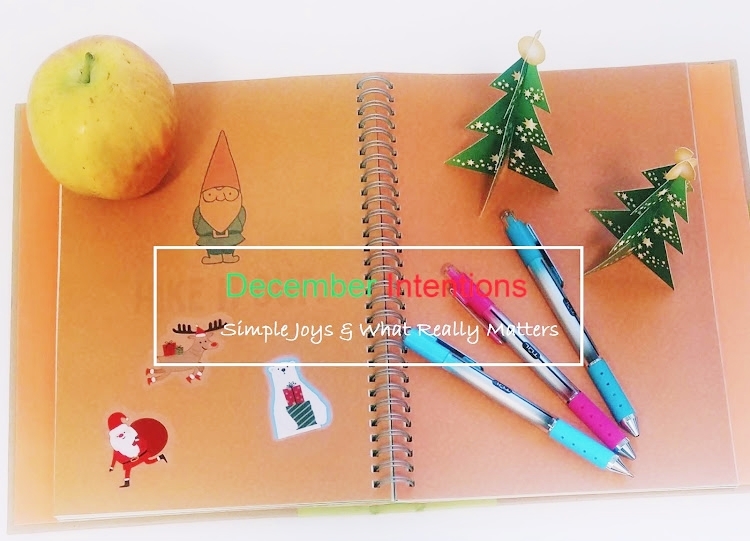 December is a great month to start with great intentions. 1. Catch the magic of Christmas wherever I can and any moment I can. 2. Listen to Christmas carols. Play "Baby It's Cold Outside" all throughout the holidays. 3. Buy my nephews and niece an Advent Calendar each from Trader Joe's. 7. Annual holiday outlet shopping again with Jax. 8. Afternoon holiday date in the City with BFF. 9. Attend the children's holiday play at church. 10. Donate toys to needy children. 11. Drink hot chocolate with marshmallows and cinnamon stick. 12. Bake a cake and make the house deliciously smell like cloves, cinnamon, ginger and spices. 13. Cook lots of soups and stews. 15. Make an appetizer spread when we host Christmas this year at our other house. 16. Decorate the other house as well. 18. Spend a "me time" at home bingeing on Netflix holiday movies, wrapping presents, drinking hot cocoa, etc just like the day I had last year. I still sigh with contentment whenever I remember that delicious day of "me time". 19. Explore San Francisco on foot during lunch time and after work and take lots of holiday pictures. 20. Visit as many giant Christmas trees as I can. 21. Holiday museum date with BFF. 22. Visit a gingerbread house with BFF. 23. Pursue quiet moments and solitude. 24. Read as many cozy holiday novels as I can. So far, I have read "Bella's Christmas Bake Off." It did get me in the holiday mood. 25. Do not allow for the holiday madness to steal my peace. In other words, do not stress out. SELF-CARE! 26. 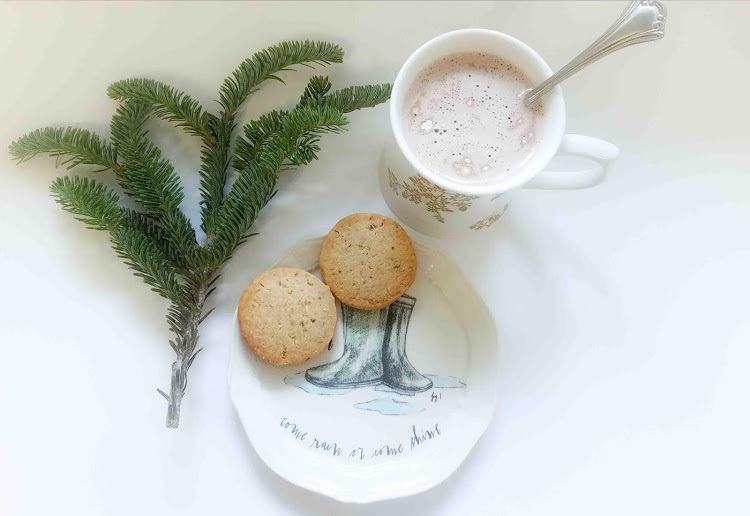 Enjoy holiday treats such as TJ's apple cider donuts, gingerbread cookies, etc. but do not gain weight! 27. Remember the true meaning of Christmas. Shopping, glitz and fairy lights are fun but they are not what Christmas is really all about. To me, there is only one real reason for Christmas. It is the birth of my Lord and Savior Jesus Christ. Christmas is about giving and not receiving. 28. Annual holiday dinner and gift-exchange with the gals. 29. Lots of lots of cozy moments with Mr Sweetie at home including lighting the fireplace and watching movies under the thick furry blankets while it cold and raining outside. 30. Drink tons of sweet-scented tea. 31. Get tipsy on nice champagne bubbles. Because bubbles are festive! 32. Attend a Holiday Fair with BFF. 33. Buy candy apples for my fave people. These are it for now but I hope to add more. I am so excited about this holiday season. I do not know why but I already caught the spirit and the magic. What are your hopes and wishes for this holiday season? Please share because I would really love to know! Happy December!